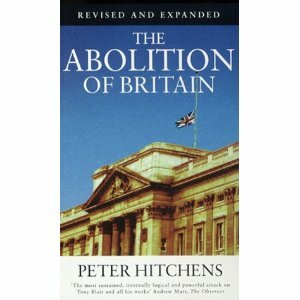 For those of you who haven't read Peter Hitchens' book, 'The Abolition of Britain' I recommend this is a good time in our history to find a copy. I've been fortunate, if you can call it that, to have seen the destruction in London relatively close-up and from a 'bird's eye' view. However, what occurred across the capital city these last few days, is not completely unexpected and in fact has been the subject of various predictions for over a decade . 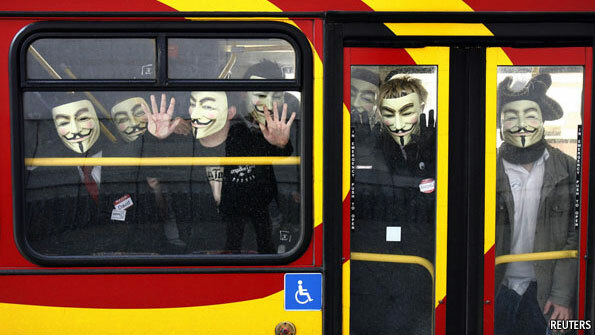 Today, new technology, such as the Blackberry Messenger or Twitter, simply offered a catalyst which enabled the nightmare of a potentially serious public order problem to become a very real and dangerous one. In the eyes of many observers, what we have seen on our TV screens or indeed, experienced at first hand, is the consequence of a failed social experiment that started in the late 1990s with the politicisation of Government and the police service by Tony Blair. It can be argued that we've steadily been following the American experience as an aggressive, 'Hip Hop', violent, inner-city gang culture has emerged and now defines large areas of Britain's largest cities, many bordering as effective 'No Go' or 'culturally sensitive' policing areas. This has spilled over to other parts of the country and when I chaired the 'Tackling Organised Crime' conference a few years ago, I was surprised and quite relieved to hear that the influence of the violent Jamaican 'Yardie' gangs hadn't spread as far as Thanet. What the solution is I couldn't say. The sociologists warn that once the teenage population of an area exceeds 20% where both life prospects and aspiration remain low, then anti-social behaviour rises in a predictable manner. In cities like London, where we have had an birth explosion over the last decade the results are writ large for all of us to see. Where do we go from here I wonder but with university graduates unable to find work in their tens of thousands the life chances for those in the vanguard of the riots look increasingly bleak with accompanying consequences for the rest of society. I do believe the British Forces stationed in Aghanistan and Iraq could do with some help, but the likes of this bunch of COWARDS puts Britain to shame. I was not aware that there were so many brainless thugs in Britain at any one time. They should be shot 'on sight' as in America. That would clear the Country of this 'rubbish' and let us get back to normal as soon as possible. Such an embarrassment! I'd hate to be a weak Politician under this situation, it's going to take a Churchill to clear this mess! You are spot with you post. I will certainly invest in the book you mention. The undercurrent of violence has been alive for years in parts of London with feral youths and the growing menace of organised criminal gangs. 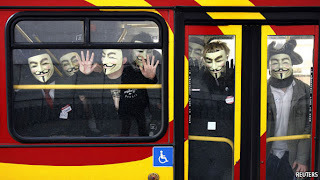 Turning to anonymous and your comment regarding May 6th 2010, with respect you have led a sheltered existence and never worked or lived in the parts of London I did from the mid 80's to the late 90's. No, in the 70's-80's & 90's I was helping keep Germany free from Eastern threats, and when this was over & done with, there was a spot of bother with the first Gulf War. I certainly have NOT led a sheltered life, in fact for the most, I have been a front man celebrating many directions of success. I have said for 35 years that problems would arise from the foreign element in Britain. I was right! I have said for 50 years that World problems would arise with the Muslim race. I was right! I am not a Politician (nor ever want to be)(because they are all crooked). You will see that I will be right..... again! In any event, what is happening in Britain just now (rioting) is a damned disgrace and ALL Politician's should be blamed as much for this problem occuring as the Rioter's. Too much fuss is being made about the 'wrong' things, and not enough the right things. You cannot expect a Country to follow a Government that makes severe 'cuts' that make Firms close down, and brings millions of new 'jobseekers' (unemployed in the old language). Expect things to get a lot worse, before they get better. You will see, I will be right....again! God I read that book 10 years ago and thought it the most reactionary ill-conceived piece of Daily Mail rubbish I'd ever read. You regularly spout off about conspiracy theories - this book is just one big conspiracy theory. Contraceptive pill deliberately developed in order to weaken the morals of the young, all our problems laid squarely at the door of the GIs stationed here during the War, etc. I thought it was a comedy book at first. These riots have got absolutely nothing to do with race (or religion). It just so happens that poor urban areas have a higher level of black & Asian people. If this was a countryside "peasants revolt" then it would be mostly white faces. At least our eastern European friends aren't being blamed for once (not even by Tony!). With your record Ogmios I would take that as a recommendation for others to read it then! Daniel Hannan's book on Europe is also a good read too. 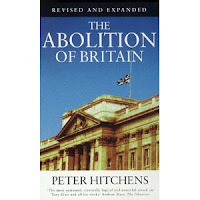 Hitchins may appear to go 'over the top' at times but he has a strong argument which is supported by history. Your own view is, I might guess, closer to the rather pinker Hazel Blears school of history, having just noticed her pop up on the BBC News this morning. Fraid not Simon. I've voted blue all my life. I just don't do stupid and I don't do bigoted and I don't do xenophobic. All characteristics of the right wing of the Tory party. This blog entry will certainly help clarify your true colours - a sort of right-wing Ian Driver. Hardly comparable with Cllr Driver I suspect and rather depends what you mean by 'Right Wing'? If leaning to the right means taking responsibility for your life, the value of the family, approving of the rule of law, an education system that works and is fit for purpose, and taking pride in your community, then I'm all for it, as I suspect are a great many of the residents of Thanet. However, as you despise me me so much and make this very clear elsewhere in your different identities, playing the more gullible readers with your little games across the blogs I really can't be bothered to engage with you. Whilst I agree with most of the ideas expressed here, I would disagree that Tony Blair was completely responsible for the politicisation of Government and the Police service. Surely that started long before that when Margaret Thatcher used the Police break unions. That surely is when the Police service found that they had political masters and that is how it has been ever since. First thing, I recall, Blair did on arriving at No10 was to end the independence of the civil service and replace the heads of departments. If you recall, police appointments also became politicised/political. Sir Ian Blair (no relation) being the most visible. The police have always had political masters but until very recently had never become involved in politics. Your recollection is correct. However, I think that appointment is likely to have been made as a result of The Police Act 1996 when of course John Major was in Power. That legislation allowed the Politicians to set the agenda on a formal basis but it had been going on long before that. And lets not forget, how Boris decided to sack Blair and put his own man in place. Unfortunately the Police have been used as a political tool for far too long (and i mean prior to this legislation) and as a result Policing objectives became manipulated not allowing them to set their own objectives that the public would relate to. This has led to weak leadersship by ambitious people not wanting to upset the Govt in power be they blue or red. The problem stems from generations of "commodity kids". Benefits mothers improve their income by dropping another kid, and then do nothing useful in bringing them up. Children now have "power without responsibility" teachers have been warning of this for years. The problem here as everywhere on this subject is that we all know exactly what needs to hapen to bring these low life back into line, yet one mention of stronger sentences or more effective punishment and you get the limp wristed brigade shouting about the infringement of rights. If these idiotic liberal halfwits had shut up in the first place we would not be here today. Our police force are led by ineffective directionless puppetts who are at the beck and call of every politician who wants to be seen to be saying the right thing to everyone. Take away the politicians,liberals and PC brigade and lets get back to installing respect and decentcy into our society before its too late. There are poor white areas in this country. Why was there little or no rioting in Hull or Middlesbrough, or the former mining towns up north? The areas affected, generally, had a diverse population - London and Birmingham in particular. Race was not the main factor in this trouble, I believe this had much to do with gang culture, but it is just wishful thinking to dismiss it completely. I agree gang culture is probably a contributary factor, but gangs have nothing to do with race. The kind of 'gangsta, get rich or die trying' philosophy that these gangs follow comes from rap and hip-hop which, of course, comes from one branch of black culture. Rock & roll came from black culture too. Bill Haley & Fats Domino have a lot to answer for. Readit, Respect for elders is not a right, it has to be earned! My father (who fought in Burma in the second world war) always said to me, 'Make the world a better place than we left, because we coc*** it up.' I think he had a point, and we old people have little time left to repair the damage we have caused! I have just seen Ken Gregory's response to Readit. Speak for your Cllr Gregory if you need time to repair any damage you may have caused. Most older people have more than earned their right to respect.